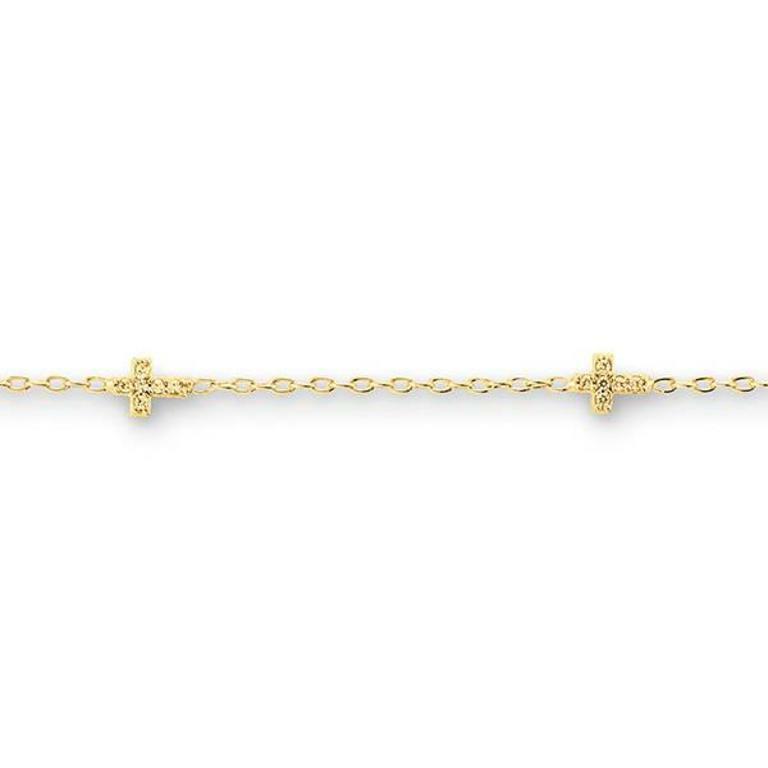 Children's yellow gold cubic zirconia cross bracelet of classic styling. The bracelet is crafted in 10k yellow gold and is comprised of a rolo link bracelet. There are two cross charms set into the bracelet that have cubic zirconia detail. The bracelet secures with a lobster clasp for safety.